EMA-gination: This Card Makes Me Happy! 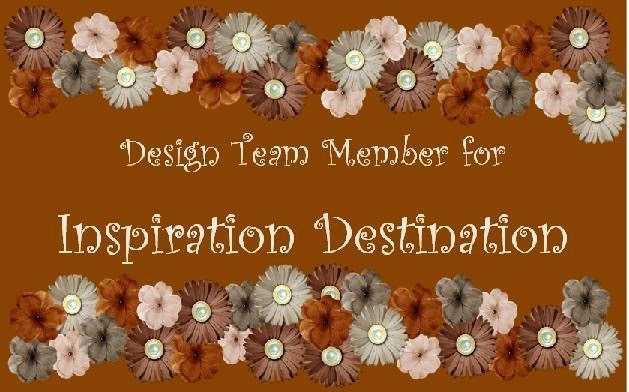 I've used two embossing folders, Floral Fantasy from Cuttlebug in pink and from The Paper Studio at Hobby Lobby in green. I colored the image in Copic markers and added some Stickles in Firefly and Tropical Tangerine for some shimmer. I accented the image with three Robin's Nest Clear Daisy dew drops. 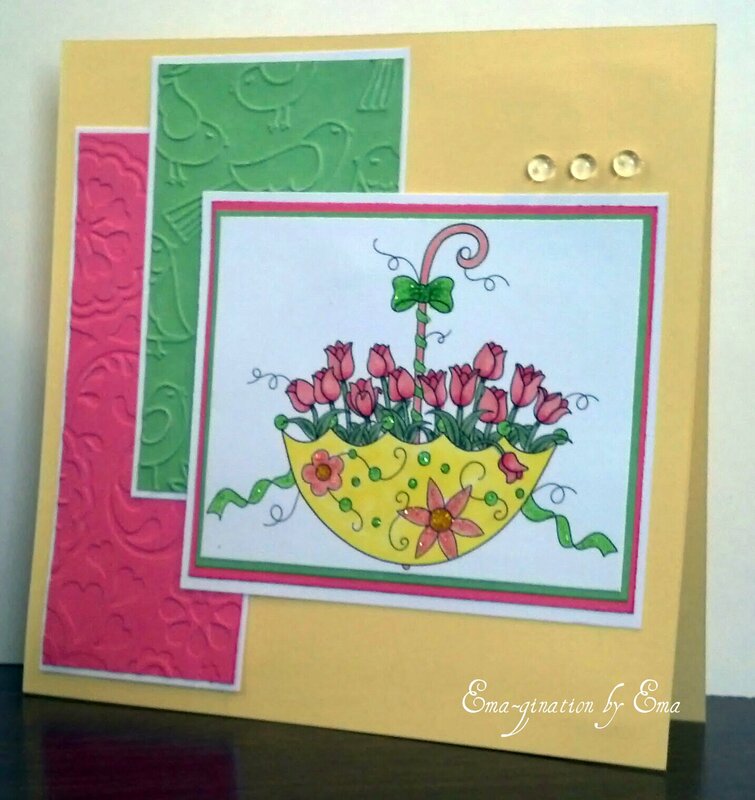 The image is Tulip Umbrella by StampArt Design by Kathryne from Whimsy Stamps.